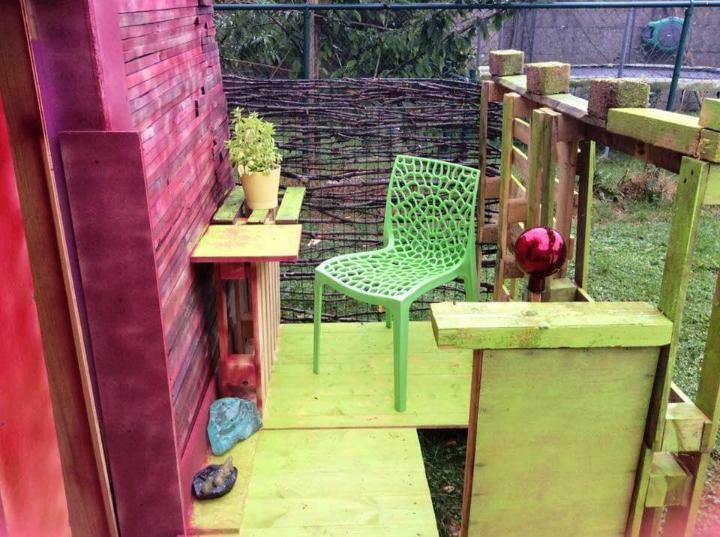 Pallets are being used also for adorable wooden housing schemes and plans! 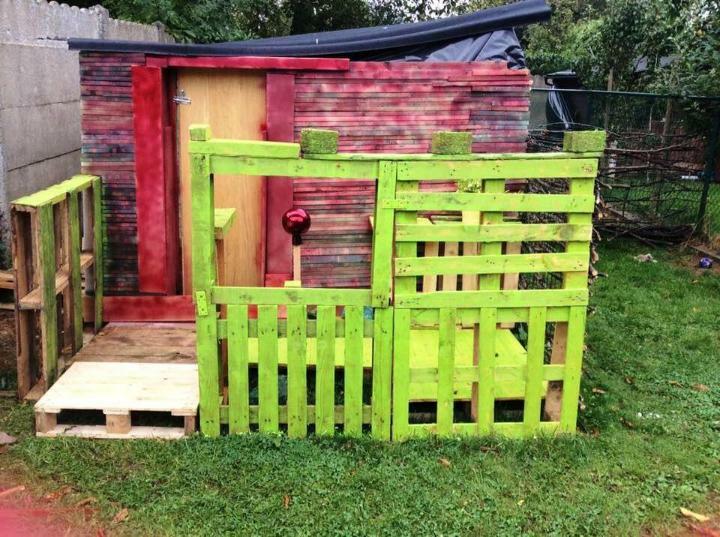 Pallet outdoor housing plans are a big hit and people are building custom wooden sheds, garden cabins, outdoor kids playhouses and also precious wooden barns by getting inspired of them! 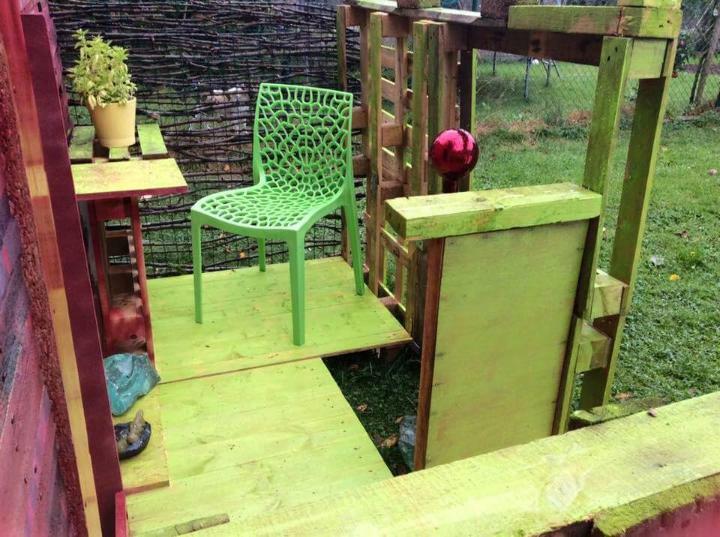 This time we are having here this DIY pallet garden cabin or shed which would also be a lovely pallet playhouse for the kids! Before construction, plan the dimensions of this cabin and then cut down pallets according to measurements! Integrate custom cut pieces of pallets with hardware to install a lasting building and plan the final coats lock the wooden surfaces for durable weather-protection! Paint can also be a part of your final finishing plan if you want a colorful and stunning visual of entire wooden house! Enlarge the front of the house and just fence it up for a beautiful deck space as shown here! Here one side of the deck fence has been done using metal lattice and old twigs! 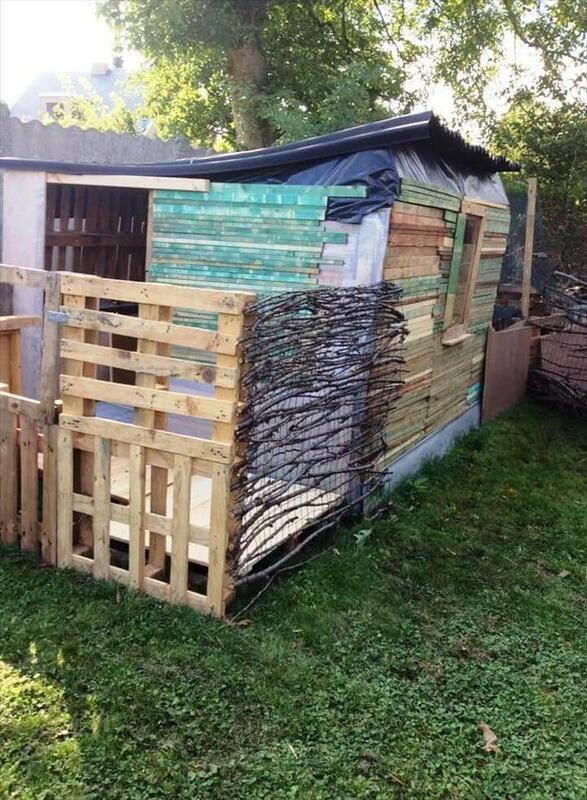 Dismantled and uncut pallet boards along with old tree twigs are the basic wooden supplies for this garden cabin construction! After building a room with pallets, the walls of it have been jazzed up using extra wood and paint! The front of this pallet-made cabin has been extended for a little deck space where one can enjoy coffees along with catching some sun rays and inhaling pure air! One of the side of front deck has been done using metal lattice and old tree twigs, this really raises the final rustic appeal of entire wooden house! Don’t forget to add a custom waterproof roof!